There now follows some of the latest enquiries from people requiring a data recovery service. Either from a NAS or single hard drive. My recommendation is to check out various data recovery blogs online (such as this one) or go to a well established data recovery firm who know what they’re doing. In the UK I’d recommend the services of Data Clinic Ltd, for both hard drive and NAS recovery. Its formatted to Mac, the drive recieves power and lights up but doesn’t initialise or show in the finder window. Its an old drive. I would like to switch the data to a new drive. Do you also sell good portables? My hardrive is hardly one month old but it has stopped working. I plugged it in today and it makes that beeping noise. I have all my company’s files in it and I need to access them asap! I don’t have a back up so I’m not in the best position. Please let me know if you can help, how long it would take and how much it would cost me. My seagate 2tb external hard drive is not connecting and making a beeping sound. I was wondering how much data recovery would cost? I was wondering if I would be able to recover any possible deleted data from my USB drive. I last accessed the files on Thursday but when I went to look today I noticed that the folder I kept them in was gone. I’m not sure if ive simply accidentally deleted them or there are other issues with the drive. If you could give me a call back on the number provided it would be much appreciated. I have a Western Digital External USB drive (its powered by USB). After two years, I plugged it in to retrieve a file, it worked just fine. However, since then its not visible in Disk Utility or Finder on my mac, or indeed any (tried 4 other) macs. External hard drive not working. I have a hard drive of which the disk has broken. I have had it looked at before but I am wanting a second opinion. It is a WD my passport. It is full of photos that I was told could not be recovered. Do you think you could help ? 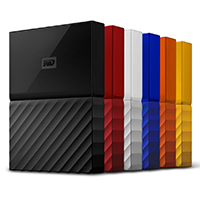 Wikipedia has documented the known issue with users of Western Digital external hard drives who upgrade to the OSX Mavericks. Here’s the link. To summarise, issues became apparent when some users of WD products and especially WD disk management software upgraded to Mavericks. The most common issue was hard drive data loss &/or data corruption. 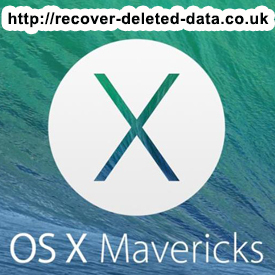 WD were quick to withdraw the problem causing software from download and issued new versions that did not cause data loss issues with Mavericks, but for some users the damage had already been done and it was often not possible to reverse this either. If you’ve been affected with this problem you may like to try talking to a decent data recovery company, there are reviews of them on Google. My advice would be to avoid any DIY or free software methods as they could easily make matters worse. If there is any software issued on the WD site that addresses the data loss problem you should be ok using that to help you.